With barcodes being an essential part of modern commercial transactions, many businesses have chosen to purchase their own barcode label printer rather than outsource the work to others. This provides significant convenience as well as cost savings, but some business owners are still reluctant to obtain a barcode system of their own. Once you get one and learn how to use it, however, you’ll wonder what took you so long. There are two main types of barcode label printers. Direct thermal printers use heat to cause a chemical reaction that turns the paper black. Thermal transfer printers also use heat, but as their name implies, they transfer the bar code onto the paper via an inked ribbon. Thermal transfer printers are less expensive than direct thermal printers, but the quality is often not as precise. No matter which type you choose, you’ll definitely find that a barcode label printer is a good investment. 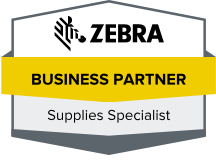 Contact us for quotes, questions, or service regarding your barcode system.